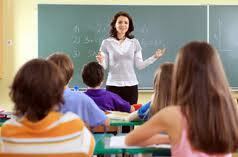 Individuals must have a BA or BS degree to teach at the elementary school level. At some charter and private schools, teachers do not need additional certification; however, it is a requirement at all public schools. What is not required of any elementary school teacher is a masters degree in education. But obtaining a masters degree has so many benefits that it is a worthwhile consideration for any teacher, no matter how much practical experience she has. Why Should an Elementary School Teacher Get a Masters in Education? Classroom teaching is hard work, and educators don’t always get the respect and acknowledgement they deserve. Going back to school and obtaining a masters degree is a statement, first and foremost, that teaching is a professional career. Advanced courses allow teachers access to the latest trends in curriculum planning and pedagogy. Obtaining a masters degree also allows classroom teachers to specialize, preparing them to teach special education or move into a career in administration or counseling. There are two different masters programs in education. A master of arts in teaching (MAT) degree centers on practical skills and information specific to different disciplines. It is designed primarily for mainstream classroom teachers who are looking to improve their pedagogic skills. A masters in education (M.Ed. ), on the other hand, is a more academic program that focuses on theories of education. An M.Ed. is the degree of choice for those seeking to specialize or move into administrative roles. What Does Getting into a Masters in Education Program Entail? On average, MAT and M.Ed. programs are two year programs; some institutions allow students to complete the degree in a shorter time frame, and some specialized programs may take as long as three years. For prospective students entering a masters degree program before they begin teaching, the masters in education program allows students to fulfill certification requirements. For those who are already in the classroom teaching and want to advance their careers at their own pace, there are a growing number of online degree programs available. Prospective degree candidates will generally need to take the GRE, get letters of recommendation, and submit their undergraduate transcripts in order to be admitted to the program of their choice. What are the Advantage of Having a Masters Degree in Education? For those who love teaching elementary school children, a masters degree in education is not strictly necessary. But for those who want to be treated as professionals, or those who are interested in career advancement after a certain number of years in the classroom, an MAT or M.Ed. degree can transform a rewarding job into a flexible career that brings decades of satisfaction. For additional information, take a look at “Do Increased Teacher Salaries Mean More Learning?“.